Etihad Airways has officially confirmed that it will be launching new daily nonstop flights to ORD-Chicago from its Abu Dhabi hub effective Sept 2nd 2009. EY will fly the route using a 3 class Airbus A 340-500. Initially, the route will be flown 3 times a week but then will be increased to daily flights from Oct 1st onwards. Very good move to launch ORD before EK and QR do. They will get high loads to Pakistan and Dhaka especially plus give Air India/BA/LH/AF a good run for their money to BOM/DEL. One should not be surprised to see EK following suit this year with their own DXB-ORD nonstop flights using a B 777-300ER! DXB - frequencies reduced from 12 to 10 flights per week using B 772ERs. ATL - frequencies reduced from daily flights to 6 weekly. ICN - frequencies reduced from daily to 5 weekly flights using a B 744 Combi. HKG - frequencies reduced from 10 weekly to daily flights. CTU - frequencies maintained at 3 weekly flights using a B 772ER rather than planned 5 times a week. LOS - capacity reduced from a mixture of B 772ERs and A 332s to daily A 332s only. KIX - capacity increased from daily B 772ER to daily B 747-400 Combis. 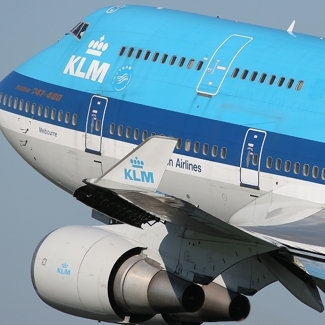 NBO - capacity reduced from daily B 744s to 3 weekly B 744s + 4 weekly B 744 Combis. JNB - capacity reduced from daily B 747-400 Combi to daily B 772ER. ALA - frequencies reduced from 6 to 5 weekly flights. DTW - all flights suspended; only NW/DL operating AMS-DTW sector. EBB - frequencies reduced from 5 to 4 weekly flights. PIA has confirmed that it will be launching new twice weekly flights to BCN-Barcelona flown nonstop from Islamabad and Lahore once a week each respectively. These flights will be launched from March 29th onwards. Flights from ISB will be flown on Thursday where as from LHE, they will be flown on Sundays. Both weekly flights will be flown using a 2 class configured Airbus A 310-300. Aeroflot has officially revealed on the GDS that it will be suspending all of its flights to Mumbai, India from March 30th. Currently, this route is flown 3 times a week nonstop using a B 763ER. The airline has not disclosed any official reason for this move but it probably has to do with the general economic recession plaguing the world of which BOM too is not immune of. BOM too, does not see as high loads as does SU's SVO-DEL bound flights which get a lot of passengers from JFK, YYZ and across the UK. DXB - planned second daily flight suspended. BKK - all flights suspended from March-July. PEK - capacity reduced from planned double daily A 332s to daily B 763ER + daily A 332. ICN - frequencies increased from 3 to 5 weekly flights from June using a B 763ER. PVG - capacity increased to daily A 332s from June 1st. Air France has announced on the GDS system that it will be suspending its flights to MAA-Chennai, India from March 29th onwards due to less than expected revenue obtained on this route. AF currently flies 3 times a week to MAA nonstop from CDG using an A 343. Also AF confirmed that due to the weakening U.S. economy, it will not be deploying its Boeing 747-400 for the summer IATA season to Atlanta this year and instead will be using a Boeing 777-200ER for the service. AF usually uses the B 744 to ATL from CDG for the summer season when traffic levels are high where as in the winter season, it uses an A 343 on the route. 1. High yielding business class flying diplomatic/businessmen/politicians who would fly AF from ISB to UK, North America, North Africa, Europe via CDG and vice versa. This is the same form of traffic that BA had a big market share over EK/QR/PIA and its yield margin on these business class pax from ISB was very high. The foreign diplomats, Western businessmen and many local Pakistani politicians prefer flying a Western airline for the safety it provides and availability of alcohol on board. 2. 6th freedom transit traffic bound via CDG to UK, North America, Spain, Norway, Denmark, Germany and Holland. With AF offering one stop flights with good connections via CDG to all the major Pakistani hot spots in the Western hemisphere, they will get good market share from markets that see virtually no competition such as YUL, DFW, IAD, ORD, EWR, CPH and ARN. With these above mentioned flight timings, not only do North African, European, U.S East Coast/YUL/YYZ connect in both directions nicely via CDG but also 2 more key markets such as LAX and SFO. Cargo carried in the aircraft belly too would be high yielding and high volume year round on the CDG-ISB-CDG route. FYI, Pakistani citizens holding residence permits for UK, EU states, USA and Canada do not need a transit visa for CDG! Korean Air has officially confirmed that it will be increasing its flights to YVR-Vancouver from the on set of the Summer 09 IATA season. Currently flights are flown 4 times a week using a B 772ER but these will increase to daily from that point onwards. Continental Airlines has officially revealed that it will be reducing its flights to Mumbai, India between March 1st and May 31st as its in the height of the low season. CO currently flies daily nonstop flights from EWR to BOM, but those will be reduced to 5 weekly using a B 772ER during this period. SAS has revealed on the GDS system that it will be suspending its flights to Delhi, India from the on set of the Summer 09 IATA season. Currently, it flies 3 times a week to DEL nonstop from CPH using an A 343. However, the Indian media has reported that it will be replacing its DEL flights by launching new ones to Mumbai from April 2009. No further mention has been disclosed as to how many weekly flights will be flown on the CPH-BOM route. LHR - frequencies increased from daily to double daily using a B 773ER + B 772ER each respectively. This is effective March 30th. BNE - capacity reduced from daily B 744 to daily B 763ER effective March 30th. ORD - capacity reduced from daily B 744 to daily B 773ER from Nov 1st. LAX - capacity reduced from daily B 744 to daily B 773ER from Nov 1st. 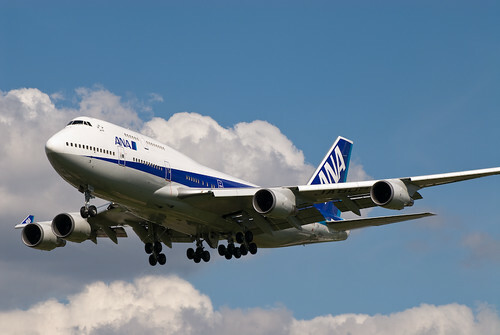 CDG - capacity reduced from daily B 744 to daily B 773ER effecitve July 1st. FRA - capacity reduced from daily B 744 to daily B 773ER effecitve Sept 1st. HKG - capacity reduced from daily B 744 + daily B 763ER to daily B 772ER + daily B 763ER effective April. 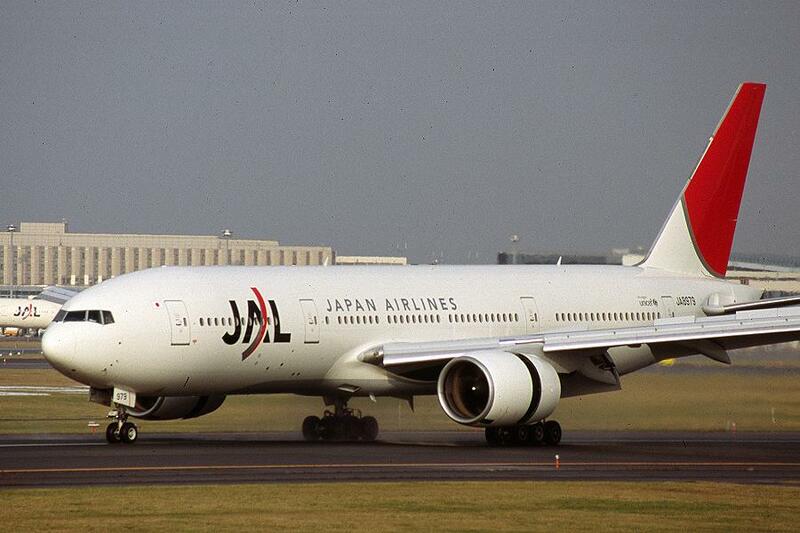 IAD - capacity reduced from July 1st with a B 772ER replacing a B 773ER for an indefinite period. BKK - capacity reduced from double daily B 772As to double daily B 763ERs effective March 29th. China Eastern Airlines has officially confirmed that it will be adjusting capacity on its Delhi and Vancouver routes for the IATA Summer 09 season. Effective March 30th, DEL bound flights flown from PEK via PVG 3 times a week using an A 343 will be replaced by an A 300-600R where as to Vancouver, frequencies will be increased from 4 weekly to daily flights effective June 29th. MU will be using an A 332 for the daily PVG-YVR terminator flights flown nonstop. DAK/GRU - capacity reduced from 2 weekly A 343s to 2 weekly A 332s. NBO - capacity to be increased from 3 weekly A 320s to 3 weekly A 343s. ADD - frequencies increased from 4 weekly to daily nonstop flights using a B 738. JFK/LHR - capacity increased from double daily B 763ER to double daily B 764ER having the new business class product. JFK/AMS - all 5 weekly flights suspended. ATL/LHR - capacity increased from daily B 763ER to daily B 764ER having the new business class product. ATL/AMS - capacity increased from daily B 764ER to daily A 333 effective June 1st. ATL/CPH - capacity increased from daily B 763ER to daily B 764ER. SEA/AMS - capacity increased from daily A 332 to daily A 333. IAD/AMS - all flights operated by NW are to be suspended. a) Etihad Airways is allowed to fly initially 4 flights per week to Tunis which can later on be increased to 5 in 2010 and daily in 2011.
b) Emirates and Fly Dubai are allowed to fly a total of 8 flights per week. c) Tunis Air has been given reciprocal rights for flights from their hub to UAE. a) Emirates, Etihad, RAK Airways and Fly Dubai would all be allowed to take part in the increases in flights from UAE Side. b) Gradual increase of flights from the current 21 per week to 89 flights per week for all UAE carriers. c) 5th freedom rights between UAE and any intermediate point allowed for flights bound to Cebu. d) 42 flights per week allowed for UAE airlines to fly to Clark International Airport (former U.S. Clark Air Force base). e) To Cebu, 21 flights per week maximum can be flown. f) To Manila, a maximum of 5 weekly extra flights can be flown by UAE carriers.